Playwright Wallace Shawn wrote this in the appendix of his play “Aunt Dan and Lemon” when explaining the theme. Thirty years after its debut off Broadway, “Aunt Dan and Lemon” is making its way to the Bruce Owen Theater at OCCC. Opening night is 7:30 p.m. Thursday, Oct. 1, with performances continuing Friday, Oct. 2, and Saturday, Oct. 3. A special discussion featuring Rabbi Abby Jacobsen and Professor Nate Vanden Brook will take place after the performance on opening night with the cast and audience. Brent Noel, OCCC theater professor, is directing the play. He explained the reasoning behind Thursday’s after-performance session. “I hope we can discuss how morals and compassion, and other first principles, are easily discarded when our way of life is threatened,” Noel said in an email message. Noel said the play does include adult content and is intended for mature audiences. Tiffane Shorter, a sophomore theater major, gave some insight into the play’s storyline. “I would say it is a play about Nazis, and (Henry) Kissinger, and the Vietnam War and how politics play into that,” she said. 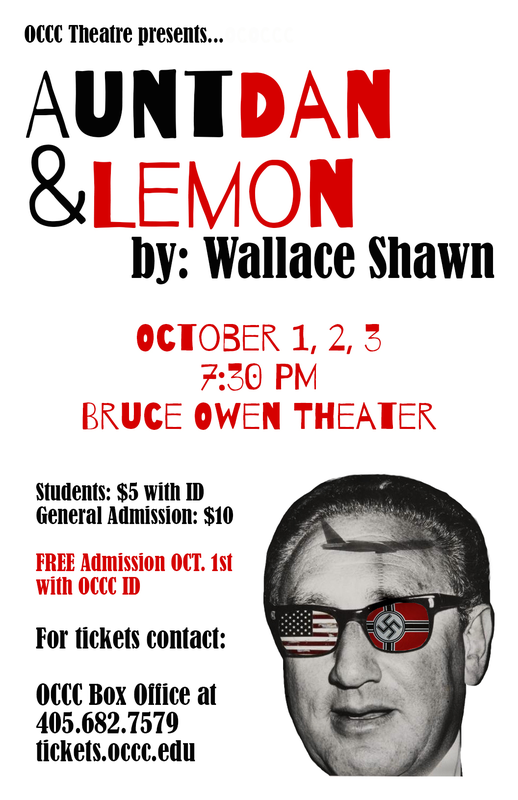 The play centers on Lemon, an introspective young woman who admits that she admires the Nazis because of their “refreshing” lack of hypocrisy. Lemon then recounts her life story and, in the process, she explains how she came to hold these views. The majority of Lemon’s stories are actually stories shared with her by a close family friend, Aunt Dan. Aunt Dan is an intelligent, eccentric woman who has a profound effect on Lemon. She shares stories with Lemon about her sexual affairs and relationships, including an imaginary one with Kissinger. Aunt Dan also is a proponent of Realpolitiks which causes her to look at politics and life in terms of power and submission. Lemon admires Aunt Dan and takes Dan’s philosophies as her own. “It’s shocking, of course, because of the content, but also because it kind of makes you think about things you hadn’t really thought about — like the whole question of empathy, as to whether or not it actually exists. 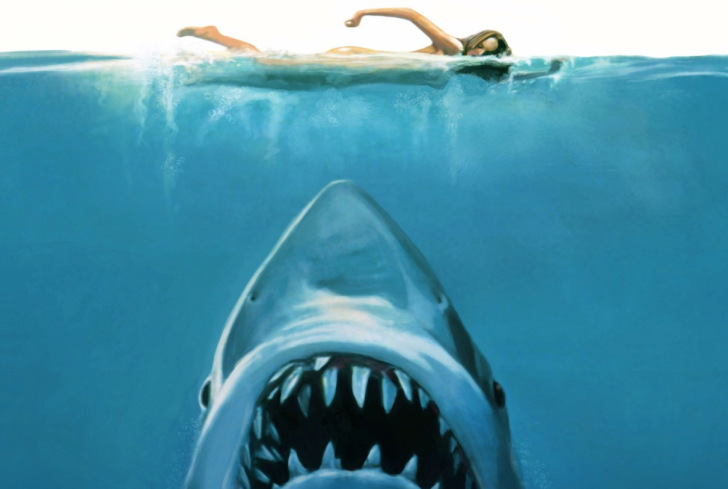 “Even if you believe it exists, you still question it,” Rich said. This production at OCCC will be performed in three-quarter round, similar to theater in-the-round, a style of theater where the audience surrounds the performers on stage, Noel said. He said this creates a theater experience where audience members feel like they have been immersed into the story. “I think the intimacy of the material is better dealt with if the audience can’t just sit back passively and observe,” Noel said. Shorter, who plays Lemon’s mother, said she likes the round staging. “Doing it as an actor … is really fun, and it’s just intimate and it’s perfect. I love it,” she said.“I want people to think about how people treat others. Students with a valid OCCC ID get in free on Thursday, Oct. 1, with student tickets costing $5 every night thereafter. For more information, email Noel at bnoel@occc.edu, contact the Box Office at 405-682-7579, or visit tickets.occc.edu.